The Little Lamb Hydrangea really lives up to its name. It looks exactly like a fluffy flock of sheep skipping across your bushes. It has this unique look because the flowers are much smaller than they are on other panicle hydrangeas, although the flower heads are larger than in many others, like the old-fashioned PG Hydrangea. It forms a slightly smaller bush too, growing about 4 feet tall, or a little more, depending on how it is pruned. The flowers are green when they first appear, but quickly turn white and fluffy – a truly charming sight. As the summer comes to an end they turn pink and then red, adding to their interest and beauty. This is an easily grown shrub that thrives all across the country, except for zone 9. It is hardy even in zone 3, making it very valuable if you live in a colder area. Plant it among other shrubs, especially those that flower earlier, as it will extend the seasons of interest. Use it for an informal hedge, or as a specimen – in the ground, or in a large pot. 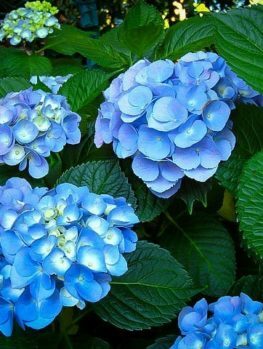 Grow the Little Lamb Hydrangea in any garden soil that is not constantly wet and soggy. Plant it in sun or light shade. It will benefit from afternoon shade in hot areas. This easy-to-grow plant has no significant pest or diseases, and it grows almost anywhere. 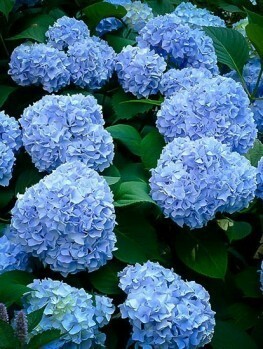 Once established it has some drought resistance, but it grows best with a regular supply of water, in a richer soil. The only care needed is a simple annual pruning in spring, as the new growth first appears. The level of trimming controls the size of flower heads – hard pruning produces larger heads, but fewer of them. 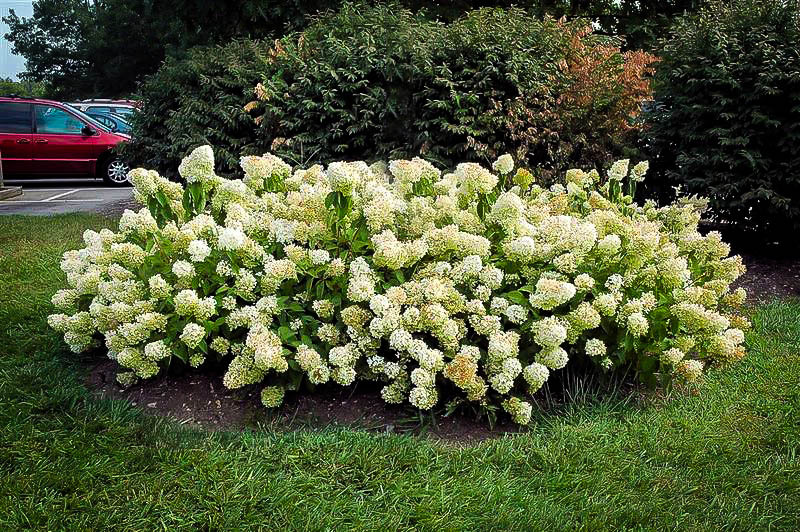 Panicle hydrangeas are among the very best garden shrubs, especially if you live in colder parts of the country. Their large white flowers, turning pink and then red in fall, make a bold display, and they are indispensable for late color. 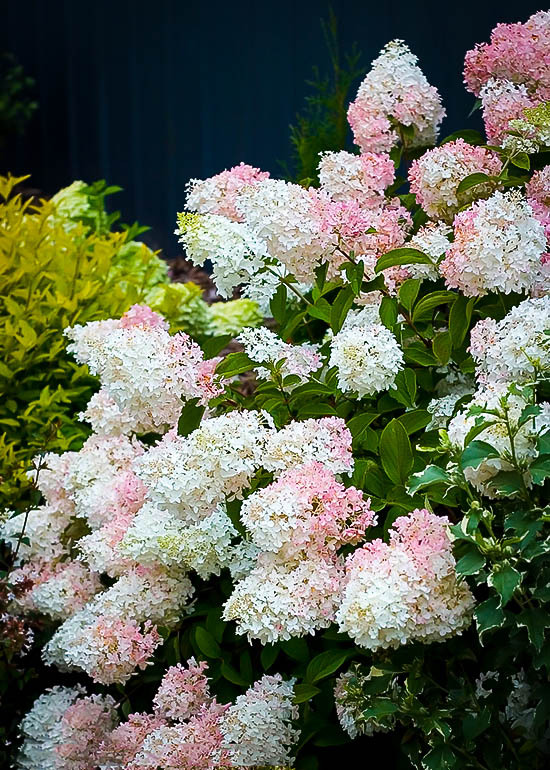 Here at the Tree Center we want to bring you a top selection of the best forms, and so we are happy to be able to offer perhaps the most attractive of the newer varieties – the Little Lamb Hydrangea. 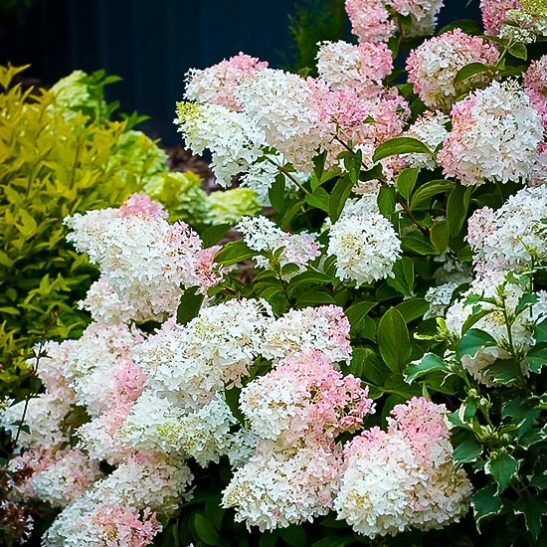 It is not just size that makes this gorgeous plant a little lamb – although it is a smaller, more compact shrub than many other panicle hydrangeas. More striking are the flowers themselves. 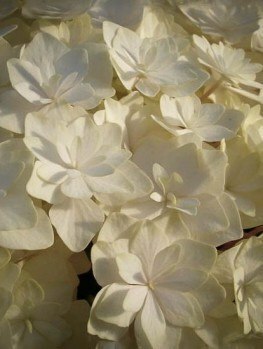 The flower heads are large, often bigger than other varieties like PG and Tardiva, in fact. But the individual flowers are considerably smaller. This creates a new and unique look – which many have compared to a bouncing flock of fluffy sheep skipping across the leaves – and it is this look that give the shrub its name. The Little Lamb Hydrangea forms a rounded bush, between 4 and 6 feet tall, and about the same across. The size can be controlled by the method of pruning you use. The deep-green large leaves create a bold appearance. Spring growth is rapid, and soon small green flower clusters are seen at the ends of the stems. These rapidly expand, turning into fat, slightly conical clusters that can be 18 inches long. 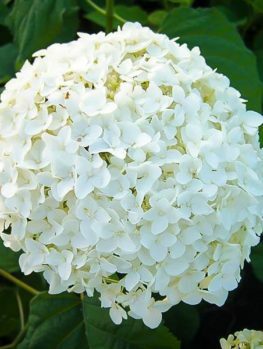 These are very dense, made up of hundreds of tiny white flowers, which are noticeably smaller than those on any other panicle hydrangea. 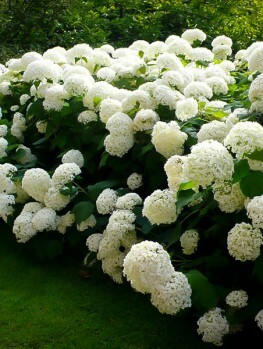 This creates a unique effect, much softer and fluffier than usual, making this a great plant to use in a smaller area, where the flowers are seen in more detail. The flowers, which begin greenish, quickly turn white, and then, as summer comes to an end, and the night temperatures fall, pink blushes develop across the flower heads, gradually darkening until the plant is deep pink. These color changes make for a constantly changing garden effect that charms everyone who sees it. 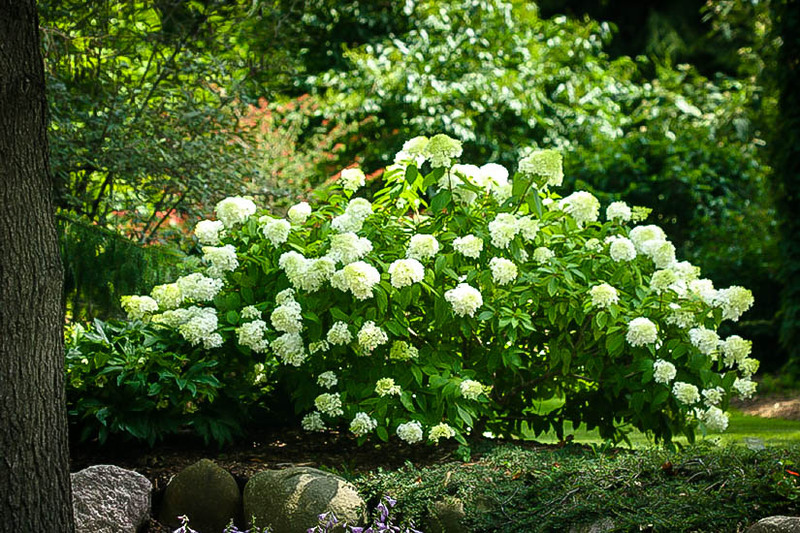 Grow the Little Lamb Hydrangea among other medium-sized shrubs, or around your home in the foundation planting. Plant a row as a beautiful, informal flowering hedge, or along a fence. Place a pair on either side of a doorway, or in large pots as specimens on a terrace, perhaps with flowers planted beneath them. Wherever you plant it, you will love to see that flock of sheep dancing in the breeze. The Little Lamb Hydrangea is a tough and easy plant to grow. It is very hardy, growing well in zone 3, and just as well in zone 8. So wherever you live you can enjoy this lovely plant. In colder areas it grows best in full sun, although it will tolerate some light shade and still flower well. In zone 8 some shade from the afternoon sun will be beneficial, and that will protect it from any potential scorching. This plant has no significant pests or diseases, and it is very easy to grow, even for beginner gardeners. It grows in almost any kind of soil, from sand to clay, just so long as it is not soggy and wet all the time. Digging some organic material into the soil before planting will help it grow well, and you can use a general-purpose shrub fertilizer for maximum growth. Prune the Little Lamb Hydrangea in spring, just as new growth is seen. Remove weak branches, leaving a framework of sturdy stems. Cut back flowering stems by about ⅓, to encourage larger flower heads. Although it is possible to prune harder, encouraging very large flower heads, this will also reduce the total number of heads. For the best effect, this variety should be pruned to develop medium-sized flower clusters. The panicle hydrangea (Hydrangea paniculata) grows wild in China, Japan, Korea, and far-eastern Russia. It was first seen in the west in the early 19th century, and soon became a favorite. 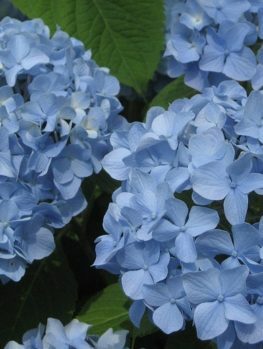 It has always been popular in colder areas, because it is much more cold-resistant than the mophead hydrangea. 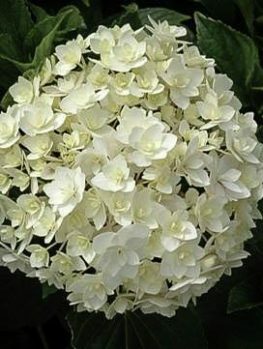 It was always grown as the ‘Paniculata Grandiflora’ form, called the PG Hydrangea. But that old plant has today been largely replaced by improved varieties like ‘Phantom’ or ‘Limelight’, as well as forms that turn pink in summer, like ‘Firelight’. The Little Lamb Hydrangea gave gardeners even more choice, for a lighter, fluffier, more charming look, on a slightly smaller plant. It was developed in Essen, Belgium in 1989, by Jelena DeBelder. She cross-pollinated other varieties and selected this special plant from among many seedlings. 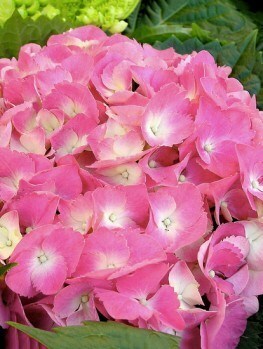 She was a passionate breeder of hydrangeas and other plants at her family estate, Hemelrijk, near Antwerp, Belgium. Of all her plants, ‘Little Lamb’ was her personal favorite. She was a Baroness, who died in 2003.